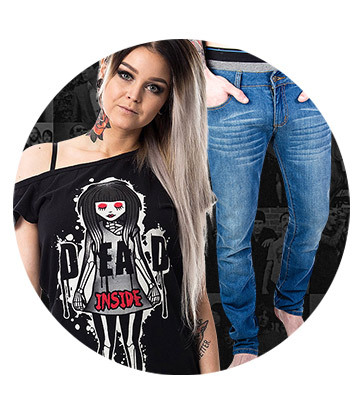 If you’re looking for some of the most unique styles and genres in the world of alternative fashion, then you’ve come to the right place here at Blue Banana! We offer a fantastic range of clothing and accessories from the biggest and most unique brand names and fashion styles around. No matter whether you’re a goth, you love to dress up in steampunk attire, indulge in some vintage old school glamour or perhaps even want to pay tribute to your favourite animal, you’re bound to be impressed with our vast collection of alternative fashion styles and genres! Looking For A Particular Style Or Genre Of Fashion? We've Got You Covered! 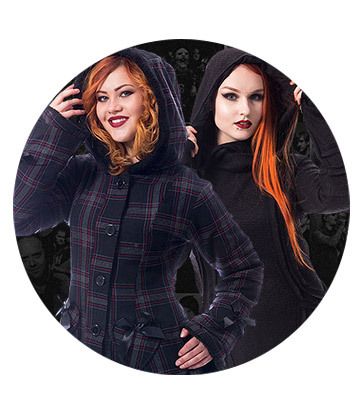 We at Blue Banana are proud of the huge collection of unique fashion styles and genres we offer to alternative individuals. From the very niche to the more popular, we’ve got all bases covered - even plus sizes for larger women! There’s amazing clothing and accessories for guys and girls of all persuasions to appreciate and all of it comes from big name brands you can trust and recognise. You won’t feel let down by what we’ve got amongst our extensive range of fashion styles. Are you looking for that classic alternative or rock and roll image? 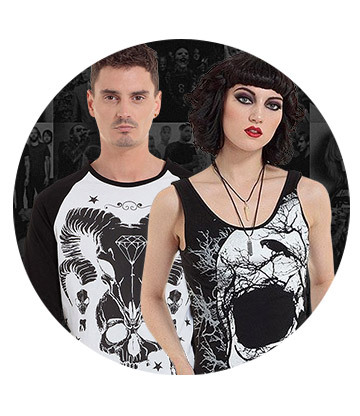 Then you don’t want to miss out on our quality gothic clothing, with daringly dark designs from brands such as Jawbreaker, Hell Bunny, Banned, Disturbed and more. Are you a fan of tattoos? Our collection of tattoo art inspired fashion from OG Abel, Sullen, Spiral and Affliction will suit you. You shouldn’t forget about the cool skinny jeans and studded clothing and accessories too! 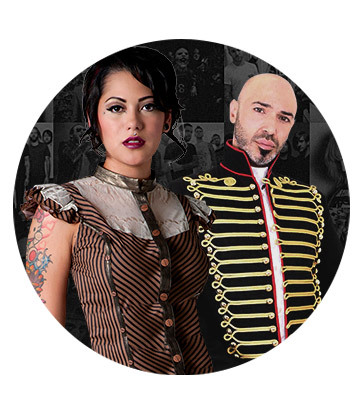 If you greatly appreciate old school style then you’ll be more than pleased with our steampunk, vintage and rock clothing offerings. There’s a stunning range of fabulous dresses, corsets, cardigans and jackets ideal for dressing up a like a character from a steampunk fantasy novel or a 1950’s rocker gal. All this clothing from trusted labels such as Voodoo Vixen, Spin Doctor and Hell Bunny has authentic style from the past that’s not to be miss out on. Do have a geeky side or love cute critters? We’ve got plenty of cat and panda clothing and accessories featuring some of the most popular animals in the world. 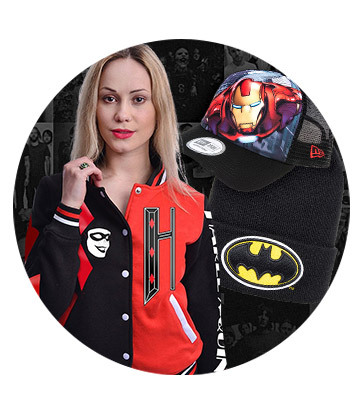 We also have an impressive range of superhero merchandise including the most popular comic book heroes of DC and Marvel such as Batman, Superman, Captain America and Spiderman. So if you have a specific style of clothing you’re searching for, look no further than right here at Blue Banana! With quality apparel for goths, emos, steampunks, geeks and fans of vintage styles, there’s a little something for everyone!